Research involving the human skin and its potential to be used as a versatile, practical and highly effective communication channel for receiving information has been explored for over a century. But while the body’s ability to perceive and process information is relatively well understood, touch is only one of the senses of the somatosensory system. Although the communication potential is great, the body is still not represented in the computer interactions we have come to accept in our everyday lives. In this paper, the domain of physical display systems and interactions are surveyed with a view to developing a framework that can offer a more principled and cohesive perspective of this multi-disciplined field of interaction research and development. 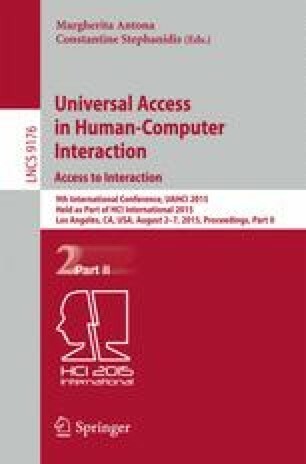 The paper presents a brief survey of physical displays, and proposes a framework that combines critical parameters from four areas of research to help understand this field of somatosensory-based computer interactions: application, physiology, technology, and psychology.